Sub-slab soil gas sampling, de-pressurization studies/testing, stray gas evaluations, source area characterization and mitigation progress monitoring. 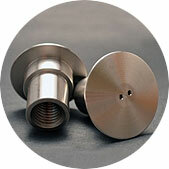 Vapor Pin will attend at the Vapor Intrusion Workshop, Hartford CT for one day only! Join us for today (1;30pm UET) only as we discuss vapor intrusion investigation best practices together. 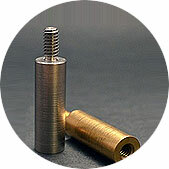 NEW PRODUCT: The Vapor Pin® Insert – meeting your sampling needs by facilitating soil gas. Click the link below to find out more. Soil and groundwater technologies are constantly changing in this industry and that’s why many people attend our workshops every year. Last year, we saw over 4,000 environmental professionals register for a workshop and in 2019 we will be focused on “Vapor Intrusion” in the New England region. WORKSHOP on Tuesday, April 23 rd at the Renaissance Westchester hotel where Laurie Chilcote & Craig Cox will be speaking. of consultants, regulators, and industrial managers. Our half-day technical workshops cover a range of topics from bioremediation, chemical oxidation, metals stabilization, thermal desorption, and many others. Radon is a cancer causing radioactive gas. It's invisible, odorless and tasteless. Learn how to test your home, what the test results mean, and how to lower radon levels in your home. 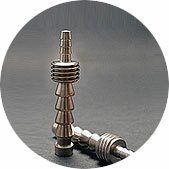 The Vapor Pin is ideally suited for locating VOC contamination sources beneath hard surfaces (ie., concrete, asphalt, etc). 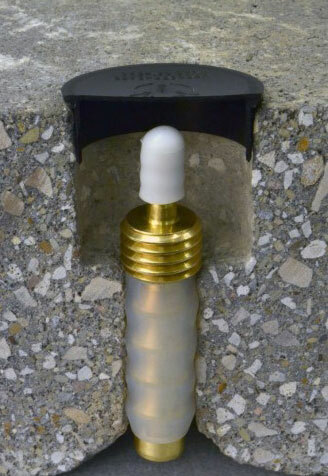 The Vapor Pin® is ideally suited for locating Volatile Organic Compound (VOC) contamination sources beneath pavement. Our experience is that most sites have sources of contamination that in addition to those associated with underground tanks and degreasing areas. Unsuspected source areas often correspond to former exterior doors that were obscured by later building expansion. Cox-Colvin has located such sources equipped with little more than some Vapor Pins®, a hammer drill, and a multi-gas meter. Lunch, 4 PDHs. FREE! Save your Seat. Vapor Pin Enterpises, Inc. is now highly recommended! Copyright © 2019 Cox-Colvin All rights reserved.